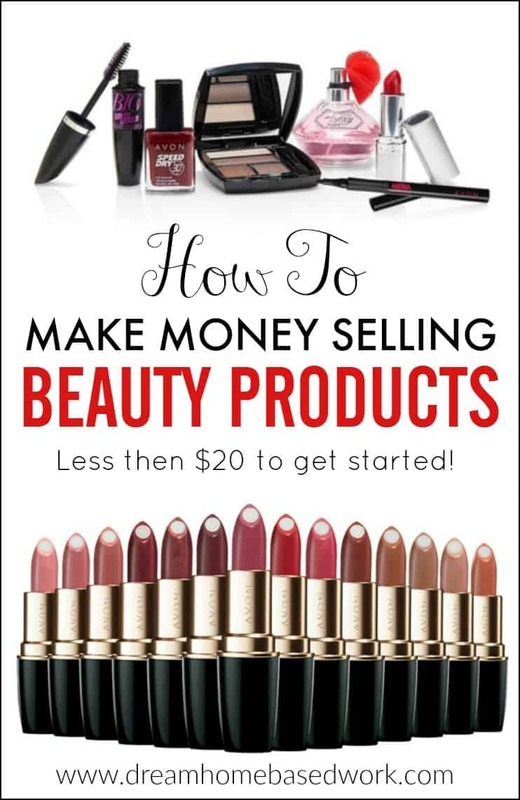 Do you want to learn how to make money selling Avon beauty products from home? 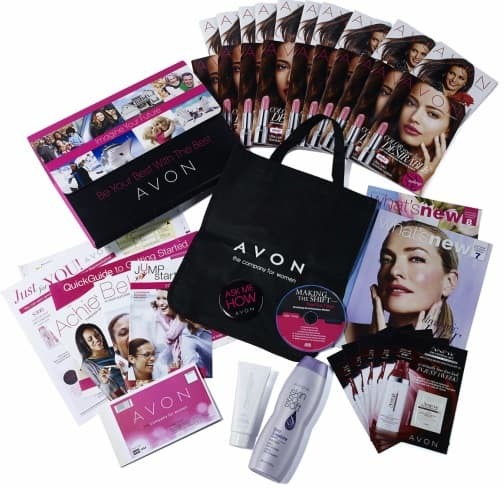 Today, Avon is one of the world's largest direct sellers. In 2014, they made almost $9 billion in annual revenue. Avon offers a great opportunity for both men and women to build their own home business for $15. The company is well known around the world and sells a variety of popular products ranging from makeup to jewelry. 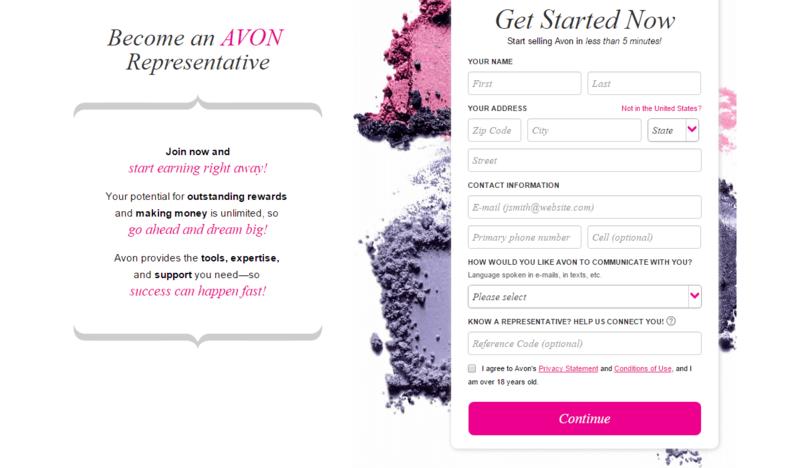 It takes just a few minutes to sign up as an official Avon Independent Sales Representative. Fill out a registration form and choose your tools to build your own online business immediately. After you have signed up, you will be redirected to the New Representative Center. It is your go-to resource for information, training, ordering, and support. A welcome starter kit will be mailed to you. It gives you all the things that you need to get you up and running. An Avon Leader will also contact you to welcome you, answer your questions, and help you every step of the way as you start up your business. Now earn on everything you sell. You can earn 35% commission on average and up to 50%. What Comes In My Avon StartUp Kit? If you become an Avon representative, you can enjoy many great benefits. You have the flexibility to work around your family. Being your own boss, you can work how you want and when you want. You can choose your working hours and the type of products that you want to sell. You can earn as much as you want or need. If you put in the time and the hard work, you can earn great money. The income potential is unlimited. You can sell Avon online and start your own online business. 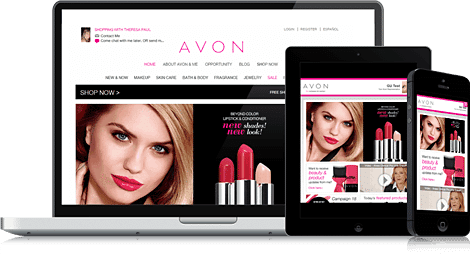 Avon is fully integrated with social media, so you can promote your business through Facebook, Instagram, Pinterest, and more. You can also use its own mobile app to connect with and grow your customer base from your smartphone to make money selling Avon online. Often times your first prospects and buyers will be your friends, family, and co-workers. Then you build your client base by getting referrals and marketing your business. How to Sell Avon to Make Money? When you are an Avon representative, there are three different ways you can make money selling Avon. The first is selling products to your customers through face-to-face sales and earning commission from your sales. The second is selling online through your personal eStore or website where customers can shop with you online 24/7. The third way to make money is by building your own Avon team. When selling products face-to-face, simply collect payment from your customer for their order. Then place the order via your New Representative portal online. Avon will directly send the products to you. Then you deliver to your customer. If a customer orders online through your Avon eStore, you will receive payment and earnings through direct deposits. It is completely up to you whether you want to sell online, or want to be a traditional Avon representative selling face-to-face, or want to do a combination of the two. Your earnings will depend on the number of sales you make. The more you sell, the more money you make through a commission. You can earn up to 50% on the products that you sell. If you build your own team by recruiting others, you will also earn a certain % of commission of their sales. Your potential for earning money is unlimited. Avon provides you with the tools, expertise, and support you need to start selling Avon and earning right away. You will grow your earnings as you grow your sales. If you are outgoing, confident, a good communicator, and are passionate about the products that you are selling, you can make a career out of selling Avon. It may be the perfect work at home opportunity for you. Looking for More Direct Sales Opps? Visit Real Ways To Earn for a huge list of direct sales opportunities with inexpensive startup costs.